Under a revised order, federal regulators are insisting that Flint’s treatment plant test-run raw Lake Huron water for three months before it’s delivered to residents. Failure to test water was blamed for a lead-contamination crisis. The revised order issued by the Environmental Protection Agency (EPA) on Friday changes its previous decision, which only insisted that the city demonstrate it could deliver safe, clean water. The new order calls for Flint to build a three-mile interconnection so it can test water from a new authority for three months while continuing to provide water from Detroit's system. Flint returned to Detroit water in October 2015 after a disastrous 18-month stint drawing its drinking water from the River Flint and treating it at the Flint Water Treatment Plant. The city is planning to use the plant again, starting in October 2017, to treat raw Lake Huron water from the Karegnondi Water authority for city use. Federal regulators complained Flint did not complete similar testing before it switched to the Flint River water source in April 2014. At the time the plant operator warned the Department of Environmental Quality the facility was not ready to function full-time, but the plant was allowed to distribute Flint River water without first treating it to make it less corrosive. Using water from the Flint River was estimated to save the city millions of dollars in the short term, but ended up causing the city a nationally recognized public health emergency when the untreated water caused lead to leach from transmission lines and home plumbing. Blood lead levels in children subsequently spiked. In Flint, between 6,000 and 12,000 children were exposed to drinking water with high levels of lead and they may develop a range of serious health problems, among them learning difficulties. The percentage of Flint children with elevated blood lead levels may have risen from about 2.5 percent in 2013 to as much as 5 percent in 2015. The water change is also a possible cause of an outbreak of Legionnaires' disease in the county that has killed 10 people and affected another 77. Several lawsuits have been filed against government officials on the issue, and a number of investigations have been opened. President Barack Obama declared a federal state of emergency, authorizing additional help from the Federal Emergency Management Agency and the Department of Homeland Security less than two weeks later. Four government officials resigned over the mishandling of the crisis. In a related story, Michigan officials are fighting a federal court order to deliver water to residents of Flint to ease the damage of lead contamination. The state argued the bottled distribution would be unnecessary to ensure residents have safe drinking water. 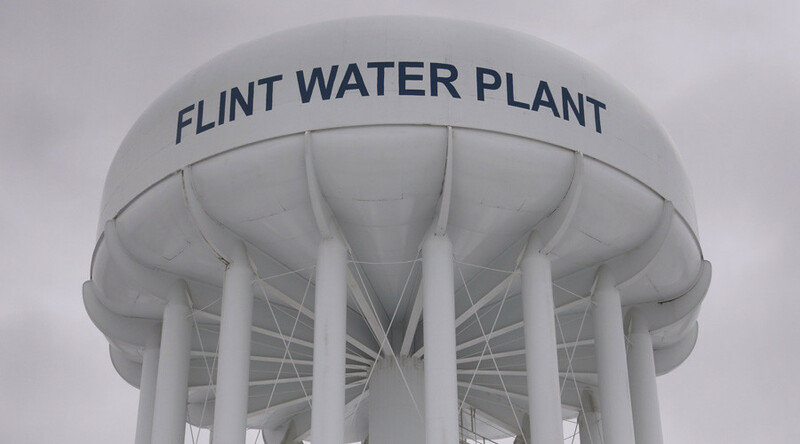 Earlier this month, US District Court Judge David Lawson issued a preliminary injunction ordering the state to provide bottled water in door-to-door deliveries for Flint residents where authorities couldn’t provide functioning water systems. However, on Thursday the state filed a federal court announcing its plans to appeal. The state claims the service will come with a monthly $10.5 million fee and could result in a series of unpleasant side effects, such as overwhelming the recycling system or undermining the state’s system of distributing water at specific sites and delivering to senior citizens, Detroit News reported.